Holland — Barnabas Ministries has taken a small — but symbolic — step toward making a reality its plans to open for Ottawa County’s first youth shelter. Construction has yet to begin, but passersby may have seen workers scoping out the site and performing soil borings this month. These tests are the first step in ensuring the 24-acre space will be able to sustain the projects Barnabas Ministries has in mind for it — including Barnabas House. “It’s pretty cool to see it happening,” LoriJo Schepers, founder and executive director said Thursday. 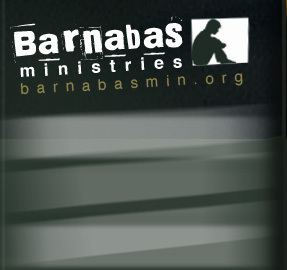 As an organization, Barnabas Ministries’ goal is to help high-risk youth and families. Barnabas House will be a 12-bed shelter, as well as the first building Barnabas Ministries intends to complete on the property, at the corner of 112th Avenue and Quincy Street in Holland Township. If all goes according to plan, Barnabas Ministries will break ground on the shelter in July and will be ready to open its doors by Christmas, Schepers said Thursday. Additional plans include constructing independent-living cabins on the property, which could provide shelter for another 16 teens who are homeless, runaways or on the brink of homelessness. Barnabas Ministries received the 24-acre land plot as a donation from VictoryPoint Ministries, whose building is adjacent to where the shelter will be. Barnabas Ministries raised $2.5 million to build Barnabas House. Meanwhile, the need for a youth shelter in Ottawa County is more apparent than ever, Schepers said. The nearest shelter designated for teens is in Grand Rapids, she said. Many local agencies such as the Holland Rescue Mission are not licensed take in minors unless they’re accompanied by an adult. Barnabas Ministries receives two or three calls per week regarding adolescents who need a place to stay.